March 20th marked the first day of spring. In our family, we have a tradition of celebrating the event by sitting around a special table setting and observing the moment the sun crosses the celestial equator on its way north along the ecliptic! In the Northern Hemisphere, this is known as the Spring Equinox. We call it Norooz literally translating to “new day.” We inherited this tradition from our grandparents and we try to pass it along to our children in hopes of keeping it alive for the times to come. Haft Seen – The traditional table setting for Norooz which includes seven symbolic items starting with the letter ‘S’ or ‘Seen’ in the Persian alphabet (Photo by Alireza Farrokhi). Similarly, we inherited a traditional doll made by our late grandmother. It is valuable to our family as it reminds us of her and the stories she shared. We make sure to keep it safe until such a time that our children are old enough to care for it. While the doll is cherished only in a small circle of people close to me, my family is not alone in celebrating Norooz. The festivities, which usually last 13 days, are celebrated by more than 300 million people worldwide (including three individuals in the Historic Resources Management Branch). You might see it spelled interchangeably as Novruz, Nowrouz, Nooruz, Navruz, Nauroz, Nevruz or Norooz as it marks the New Year in many regions including Afghanistan, Azerbaijan, China, India, Iran, Kyrgyzstan, Pakistan, Turkey and Uzbekistan. The doll is an artifact, a tangible object with associative values made by people. It can be physically handed over to the next generations. 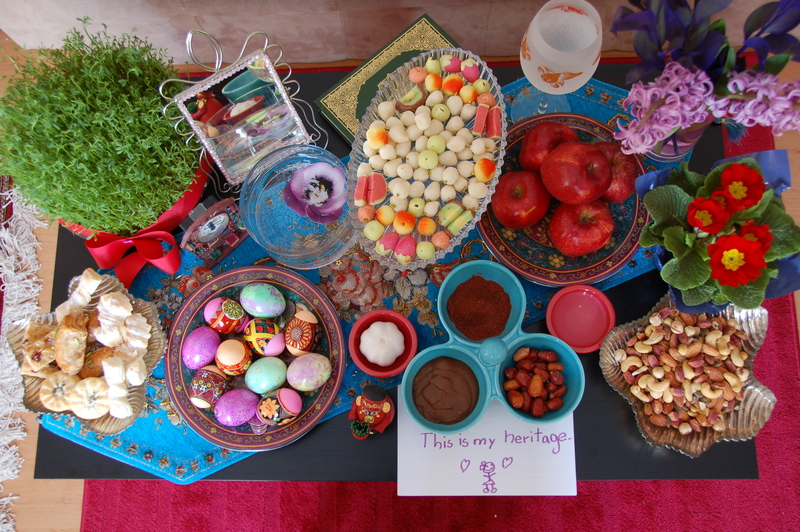 Norooz, on the other hand, is a cultural practice and an example of intangible heritage. Doll making traditions have been part of almost every culture. Dolls are more than mere playthings, often representing costumes and other cultural practices. 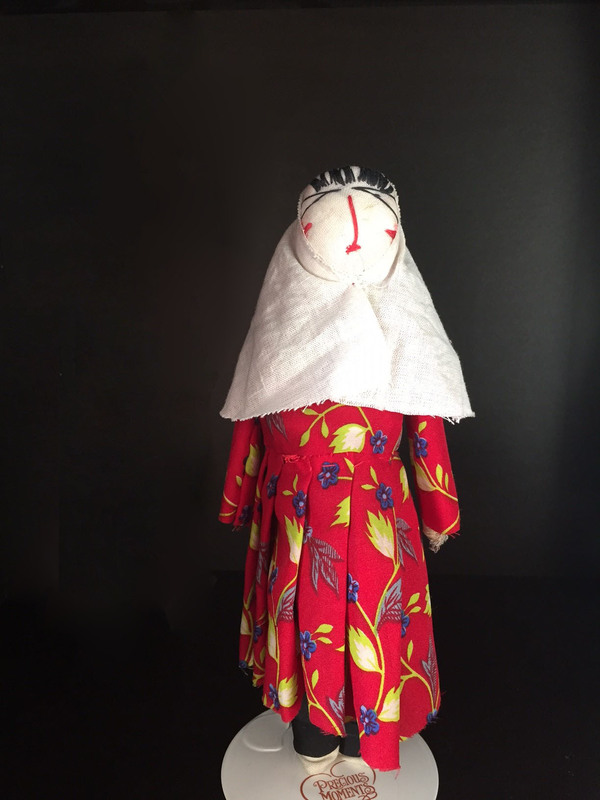 This Doll was made by our late grandmother, demonstrating the continuation of such traditions in our family (Photo by Alireza Farrokhi). In 2003, recognizing that cultural heritage does not end at monuments and artifacts, and to emphasize the important role that traditions, social practices, rituals, knowledge and skills have in maintaining cultural diversity in the face of growing globalization, the United Nations Educational, Scientific and Cultural Organization (UNESCO) adopted the Convention for the Safeguarding of the Intangible Cultural Heritage. Practices, representations, expressions, knowledge, skills […] that communities, groups and, in some cases, individuals recognize as part of their cultural heritage. […It] is transmitted from generation to generation, is constantly recreated by communities and groups in response to their environment, their interaction with nature and their history, and provides them with a sense of identity and continuity, thus promoting respect for cultural diversity and human creativity […] Intangible Cultural Heritage is traditional, contemporary and living at the same time; it is inclusive, representative and community-based. As of May 2014, the Convention has been ratified by 161 State Parties and 314 elements have been inscribed on the Representative List of the Intangible Cultural Heritage of Humanity. Norooz promotes the values of peace and solidarity between generations and within families, as well as reconciliation and neighbourliness, thus contributing to cultural diversity and friendship among peoples and various communities. In 2009, Norooz was added to the Representative List. 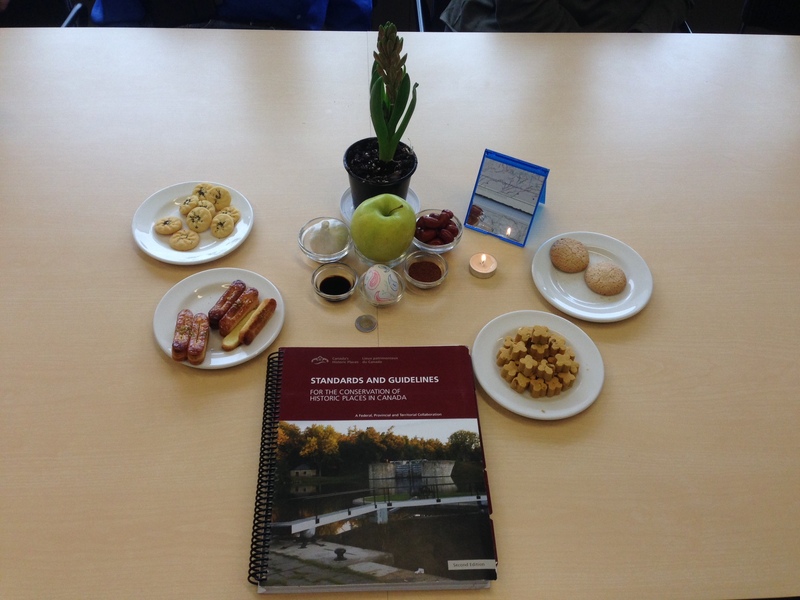 Haft Seen setting (photo taken by one of our colleagues in Calgary). Looking out the window, I see snow is melting away; trees are waking up; the ground is breathing. I am witnessing a cosmic event. Norooz is my heritage, what is yours? Please share yours with us in the comments. And by the way: Happy Spring, Happy Persian New Year! Written by: Alireza Farrokhi, Head of Conservation and Construction Services, Historic Places Stewardship. Between March 23rd and 29th, museums from all over the world will join together to celebrate culture on Twitter! #MuseumWeek began in Europe last year and 2015 will be the first time that the cultural event goes global. This event gives museums the opportunity to present their artifacts, secrets and stories to a worldwide audience, while encouraging people to snap and share photos of themselves enjoying a museum visit. 7 days, 7 themes, 7 hashtags is the programme focus for this year. Thematic hashtags allow museums to promote and celebrate their individual history and provide tips, while connecting with communities around the world. On Wednesday, #architectureMW will explore the architectural heritage and surroundings of museums. Friday’s theme, #familyMW, will provide advice for families or schools planning to visit a museum. This is a fantastic opportunity to gain insight into your favourite museum! A number of Alberta museums and historic sites have signed up to participate in this online initiative including the Galt Museum, Atlas Coal Mine National Historic Site, Glenbow Museum, Royal Alberta Museum and Royal Tyrrell Museum. A full list of participating museums can be found here. To find out more, refer to the #MuseumWeek website and follow them on Twitter to join the conversation! The Main Street team standing outside the historic Bailey Theatre. The Alberta Main Street Program members met in Camrose on March 5th for the first quarterly meeting of 2015. After getting an update on the activities of each of the five Main Street communities (Camrose, Lethbridge, Old Strathcona – Edmonton, Olds and Wainwright), we were led on a walking tour of downtown Camrose by the architect and Main Street Camrose member, David Roth. 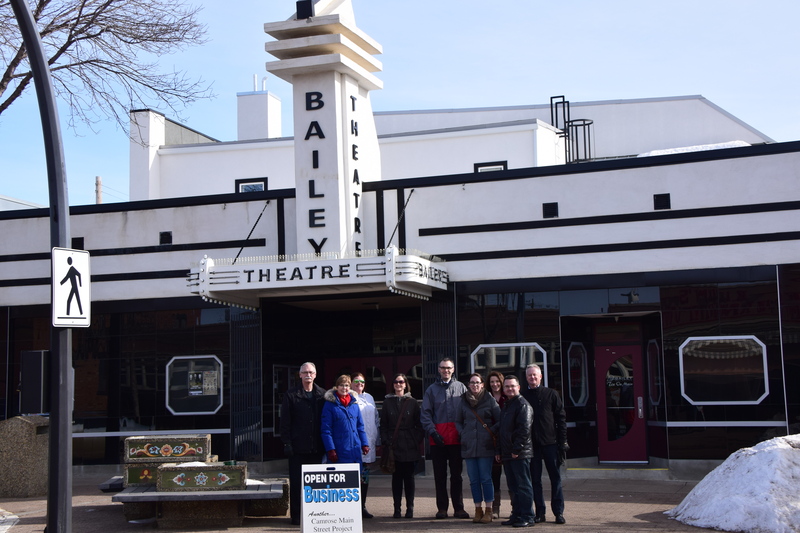 The walking tour concluded with a reconnaissance of the lovingly restored historic Bailey Theatre. After lunch we were able to connect via Skype with Charles Ketchabaw of the Tale of a Town initiative. Charles and his team are working their way across Canada collecting stories about main streets in advance of the nation’s 150th anniversary celebrations in 2017. The Tale of a Town ‘story-mobile’ will be visiting Alberta in 2016 and Charles is looking for communities interested in contributing to the initiative. Watch this video to learn more. A few of the Coordinators are off to experience Main Street, America-style at the 2015 National Main Streets conference being held in Atlanta, Georgia. We look forward to hearing all about it at the next group meeting to be held in Wainwright in May. And speaking of Main Street, we’d like to remind you that you still have until the end of March to enter Heritage Canada the National Trust’s I Love My Main Street contest. The language used by Fitzsimmons in this letter is highly suggestive. By stating that Calgary’s Irish leaders had gotten ‘cold feet,’ he/she was implying that they lacked the courage to publicly celebrate their ethnic heritage. Further, ‘God Save Ireland’ was an explicitly nationalist slogan, associated with the last words of three Irish revolutionaries executed by the British in 1867. In short, Fitzsimmons was calling for an open celebration of Irish identity that did not shy away from nationalist politics. What Fitzsimmons saw as a simple issue, however, was much more complex for the majority of Irish people in Calgary and across Alberta. The often turbulent politics of the Irish homeland, and the campaign for Irish autonomy from Britain, raised difficult questions about what it meant to be Irish in Canada in the early twentieth century. Did public expressions of Irish identity automatically imply support for Irish nationalist politics, or could the two issues be separated? Could a person support Irish nationalism and still affirm loyalty to Canada and, by extension, the British Empire? What was the best way to frame St. Patrick’s Day celebrations in such a way as to affirm devotion to both the Irish homeland and Canada? The stakes of these questions were heightened after 1914, as supporters of Irish nationalism were accused of threatening British imperial unity during a time of war, and again after Easter 1916, when Irish nationalists launched an uprising against British rule in Ireland. Group portrait of the Edmonton Irish Association (Provincial Archives of Alberta, A16110). The uneasy relationship between Irish politics, identity and citizenship are reflected in the history of St. Patrick’s Day celebrations in early twentieth century Alberta. The general picture that emerges is of an Irish population that celebrated its ethnic heritage in ways that emphasized loyalty to Ireland, Canada and the British Empire. At particular times, such as the Great War (1914-18), this balancing act proved to be too difficult, and St. Patrick’s Day celebrations largely disappeared from public view. With the emergence of Ireland as an independent state in the early 1920s, Alberta’s Irish once again organized into associations dedicated to celebrating Irish heritage and St .Patrick’s Day soon emerged as an important event in the province. The population boom of the early 1900s set the stage for significant St. Patrick’s Day celebrations in both Edmonton and Calgary. The 1916 census enumerated 58,068 Irish people in Alberta, of whom approximately 63% were Canadian-born descendants of Irish immigrants; 25% were American-born descendants of Irish immigrants; and 12% were direct immigrants from Ireland (most of whom had arrived in Canada between 1905 and 1914). The diverse origins of the province’s Irish population were reflected in the decorations chosen for the 1908 St. Patrick’s Day banquet at St. Mary’s Hall in Calgary – the platform was decorated with Union Jacks and American flags, over which hung a silk banner with the phrase “Erin go Bragh” (‘Ireland forever’). Toasts were delivered to ‘The King,’ ‘Canada,’ ‘Alberta,’ ‘The United States’ and ‘Ireland’s Future,’ and the event closed with a rousing rendition of “God Save the King,” leaving little doubt that the guests’ vision of ‘Ireland’s Future’ involved its continued association with the British Empire. Similar scenes played out in Edmonton, where St. Patrick’s Day events were organized by the highly successful Edmonton Irish Association (EIA). Founded in 1909, the EIA grew to approximately three hundred members by 1911. While primarily a cultural and literary organization, the EIA also sponsored a number of sports teams, including the Irish Canadian Amateur Athletic Association, the Hibernian Football Club and the Irish Canadian Baseball Club. A 1911 profile in the Edmonton Capital stressed that the EIA was “non-political and non-sectarian in character,” and had “from the outset avoided the controversial.” This emphasis echoed the celebrations in Calgary, and indeed reflected a broader pattern across the Prairie West, where explicitly non-political and non-sectarian Irish associations emerged in the early 1900s. With the worsening Home Rule crisis in Ireland in 1913-1914, it became increasingly difficult for Alberta’s Irish to continue to celebrate their ethnic heritage in an explicitly non-political way. In April 1914, for example, the Edmonton Capital advertised a meeting for those interested in forming an “Imperial British-Irish Association,” suggesting that some of the city’s Irish were no longer satisfied with the Edmonton Irish Association. The outbreak of World War One added another layer of complexity, as the British government put Ireland’s political future on hold for the duration of the war. 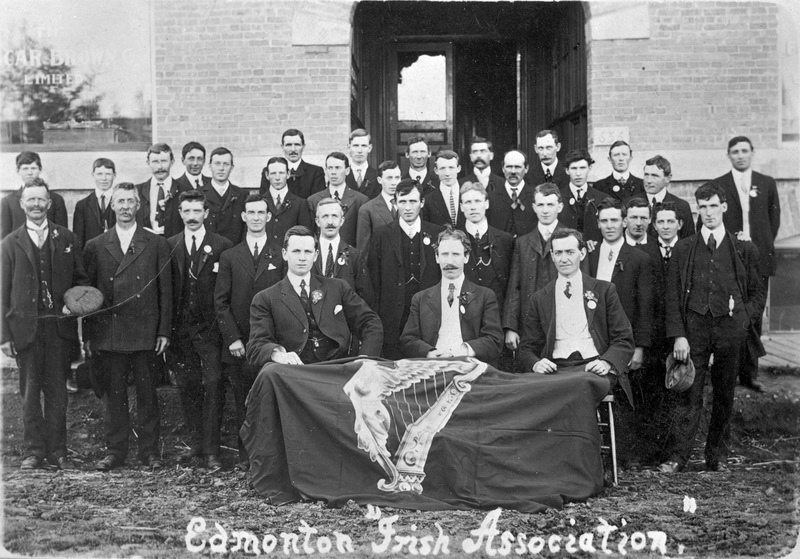 By the end of 1914, the Edmonton Irish Association had dissolved. Similarly, there is no evidence of any Irish fraternal or benevolent societies in Calgary during the war years. Despite the non-political and non-sectarian nature of pre-war St. Patrick’s Day events, there appears to have been little appetite for Irish organization and celebration during the Great War or the subsequent Irish War of Independence (1919-21). The one exception is a short lived organization called the Irish Glee Club, which emerged in Calgary in 1919 to organize small concerts on St. Patrick’s Day. These events, however, were on a considerably smaller scale than those held prior to World War One. With the end of the Irish War of Independence and the emergence of the Irish Free State in 1922, the province’s Irish citizens once again organized to publicly celebrate Ireland’s patron saint. Potentially awkward questions about how to reconcile devotion to Ireland and loyalty to Canada and/or Britain faded, as Alberta’s Irish honoured both Irish independence and service to Canada during the Great War. At the 1924 St. Patrick’s Day banquet, for example, the St. Patrick’s Society of Calgary celebrated Irish independence, but placed equal if not greater emphasis on Irish service, “loyalty and allegiance” to Canada during the Great War. The evening’s keynote speaker refused to take a political stance on the divisive civil war in Ireland, commenting only that “the Irish had settled the matter for themselves,” and that whether it had been settled “rightly or wrongly” was irrelevant to him as a Canadian. In place of politics, the new St. Patrick’s Society focused on the celebration of Irish folk culture, arts and crafts. A similar situation emerged in Edmonton, with the founding of the new St. Patrick’s Society of Edmonton in 1927. Like its Calgary counterpart, the society emphasized culture and avoided politics – a safely depoliticized way to honour Ireland. By the mid-1920s, Alberta’s Irish had found a comfortable balance between celebrating their Irish heritage and their contributions to Canadian growth and development. The history of St. Patrick’s Day celebrations in Alberta thus yields significant insight into the province’s early Irish community. St. Patrick’s Day events represented an important point of intersection between the ethnic community and the rest of the population. It was a holiday intimately associated with Ireland, but widely observed by mainstream society – as such, it offered Irish organizations the opportunity to represent their heritage and their community’s values to a wide and receptive audience. The nature of those celebrations (or the absence of any organized events) is a reflection of what image Irish community leaders wanted to project to the larger population. At times, the tense situation in Ireland complicated those efforts and made it difficult for Alberta’s Irish to publicly embrace and celebrate their ethnic heritage. By the 1920s, such concerns had faded and St. Patrick’s Day celebrations flourished once again. Cronin, Mike, and Daryl Adair. The Wearing of the Green: A History of St. Patrick’s Day. London & New York: Routledge, 2001. In 1973, the Government of Alberta assumed a central role in the management of archaeological research. In the 42 years since then, the Archaeological Survey at Alberta Culture and Tourism has been busy. More than 9,000 archaeological research permits have been issued and as a result, archaeologists have discovered over 40,000 archaeological sites in Alberta. So where did it all begin? The first archaeological research permit in the province was issued to Karlis Karklins in 1973 by Alberta Culture, Youth, and Recreation. The permit was for his research at Nottingham House, a Hudson’s Bay Company trading post near Fort Chipewyan, as a part of the Western Fur Trade Research Programme. The programme was initiated by Parks Canada in 1968 to explore the history and archaeology of the fur trade in the Athabasca region. As part of that project, Karklins began researching Nottingham House in the early 1970s. Nottingham House was a fur trade post established by the Hudson’s Bay Company (HBC) in 1802. The HBC hoped to compete with the North West Company (NWC), who held a 20 year monopoly on the famed fur-rich areas of the Athabasca region. Peter Fidler, an experienced HBC surveyor, along with his Swampy Cree wife, Mary, their children and 17 other explorers arrived at Fort Chipewyan in late 1802 to set up the new trading post, Nottingham House. 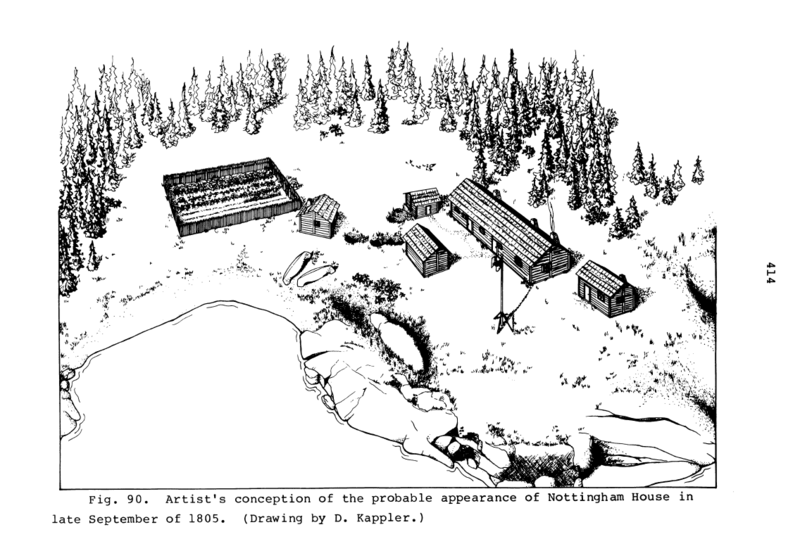 In the style of competitive exploration that characterized the fur trade in western Canada, Nottingham House was erected less than a mile from Fort Chipewyan, a successful NWC trading post established in 1788. Despite the best intentions of the HBC and Fidler’s crew, Nottingham House was not a successful trading post. The NWC at Fort Chipewyan took every chance to sabotage trade at Nottingham House, even going so far as to burn HBC canoes and to have individuals that were known to trade with the HBC beaten. In their first year, the HBC at Nottingham House generated a return of only six bundles of fur, which did not come close to covering the costs of their expedition. Fidler and his company remained at Nottingham House for four years, during which they struggled with dwindling trade, starvation and increasingly aggressive attacks from the NWC. On June 9, 1806, Nottingham House was abandoned and the HBC traders moved on to other posts. 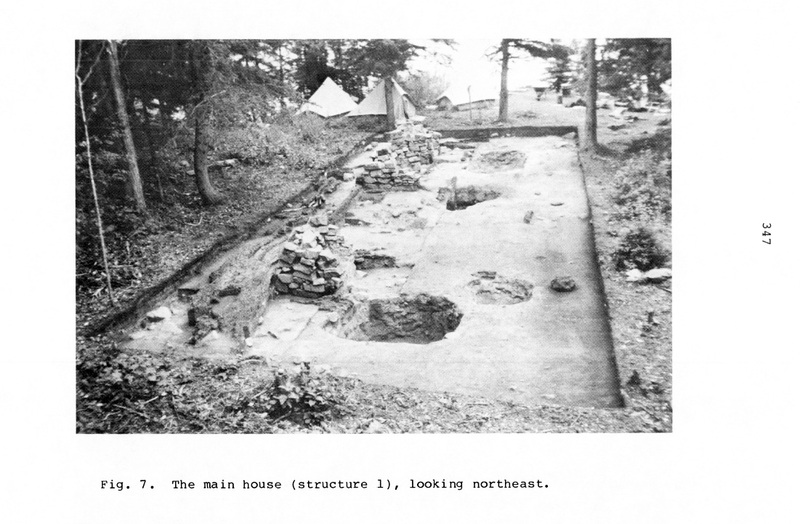 The Nottingham House archaeological site was excavated by Karklins, an employee of the National Historic Parks and Sites Branch of Parks Canada during the 1970s. Karklins and seven others began their first 14-week excavation season in June 1972, returning for a lengthy field season each summer until 1977. The archaeological crew unearthed just over 1,072 square meters of the site, revealing the remains of several buildings and work areas. The main house, measuring about 15 meters by 5 meters, was made up of four rooms with fireplaces, storage pits and a cellar. The site surrounding the main house included a storehouse, a provisions shed, a garden and several outdoor working areas, storage pits and trash pits. The structures were made from the locally-available wood, stones and clay. Most of the structures showed evidence of burning, which suggests that the NWC may have burned the camp after the HBC abandoned it in 1806. The archaeology crew also uncovered 5,707 complete artifacts and a further 1,006 broken fragments of artifacts during their field seasons. The artifacts are typical of a fur trade post from that era. Most artifacts were personal items that would have been used by those living at the post or were kept as items for trading. These included beads, combs, mirrors, books and glass and ceramic containers. The other artifacts reflect what would be needed to construct and maintain a fur trade post in undeveloped territory in 19th century Boreal Forest Alberta, such as tools and hardware (axes, nails and saws), hunting and fishing gear (gun parts and ammunition) and household items (cookware, furniture and sewing supplies). The historical record suggests that the HBC crew relied on a protein-rich diet, consisting mostly of animals and birds such as moose, bison, caribou, dog/wolf, snowshoe hare, swans, ducks and cranes that were traded from the local Aboriginal population. Other animals identified from the faunal remains included Arctic fox, muskrat, marten, wolverine and lynx, all of which were hunted for their furs and may have been eaten as well. The crew was also able to fish in Lake Athabasca and grow potatoes and turnips in their gardens. 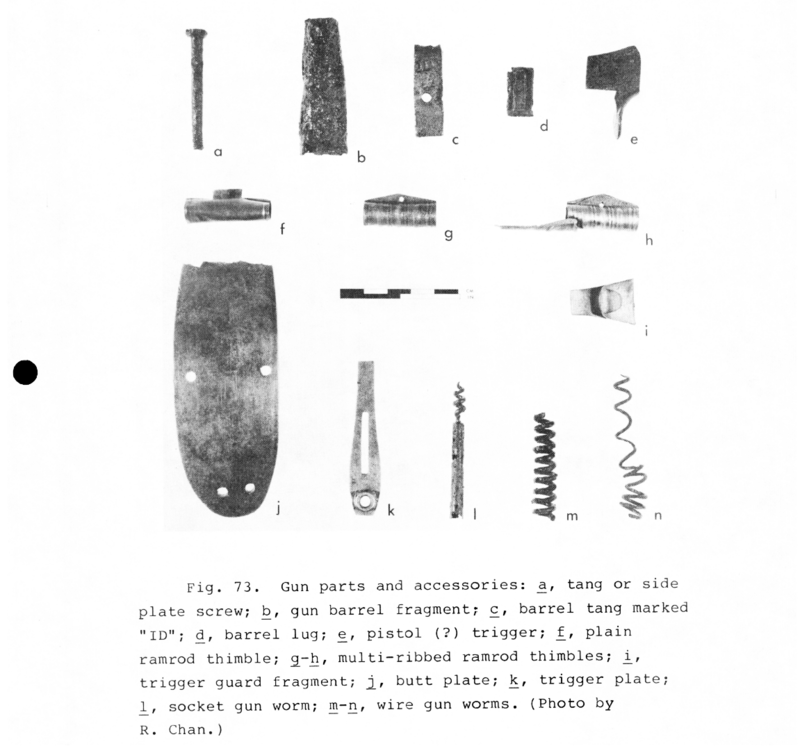 Examples of gun parts and accessories that were found by Karklins at the Nottingham House archaeological site. Karklins’ research in the 1970s served to build a better understanding of the economy and material culture of the Nottingham House fur trade post. 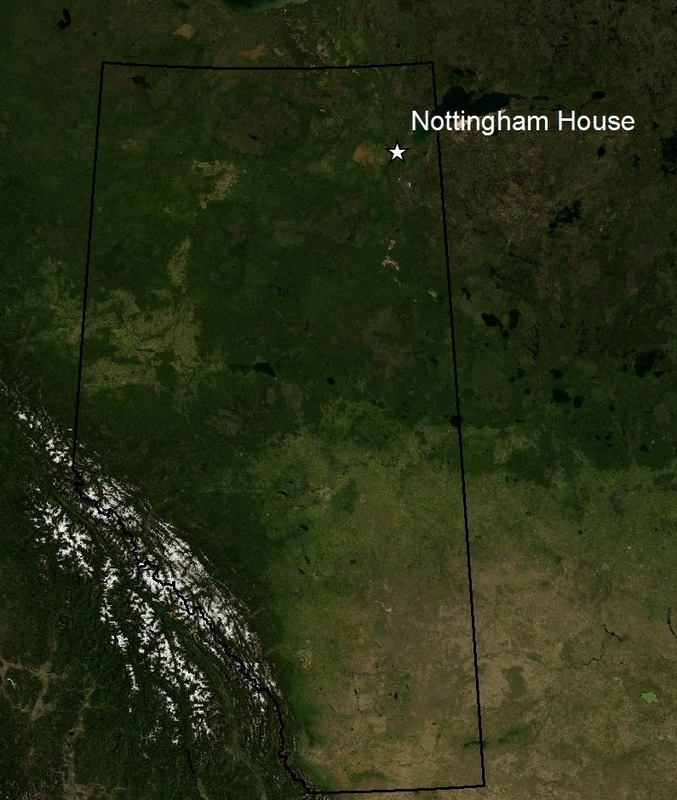 The site has not been excavated by archaeologists since the 1970s, but Karklins’ research has proved valuable for other archaeologists and historians studying the fur trade in western Canada, and especially in the Athabasca region of Alberta. The archaeological site of Nottingham House remains protected by the Historical Resources Act as an Alberta Significant Archaeological Site. References and Figures: Karklins, K. (1979). Nottingham House: The Hudson’s Bay Company in Athabasca, 1802-1806 (Doctoral dissertation, University of Idaho). Have you ever discovered a projectile point, stone tool, ceramic, bone or other archaeological artifact? If so, we want to hear from you! A variety of artifacts typically found in Alberta. Photo credit: Todd Kristensen. Archaeological artifacts may be exposed by natural events (flooding, freeze/thaw cycles or tree throws) or human modification to a landscape (agriculture, recreation activities or development). As explained in a previous post, Alberta is Rich in Archaeology, archaeologists working in the province discover, or revisit, sites during the course of Historical Resource Impact Assessments. However, there are large stretches of the province that are not subject to Historical Resource Impact Assessments such as previously cultivated areas or areas that do not have development projects on them. This doesn’t mean there are not archaeology sites there. Often, people will discover archaeological artifacts and sites when they are out hiking, fishing, geocaching, working or cultivating their fields. 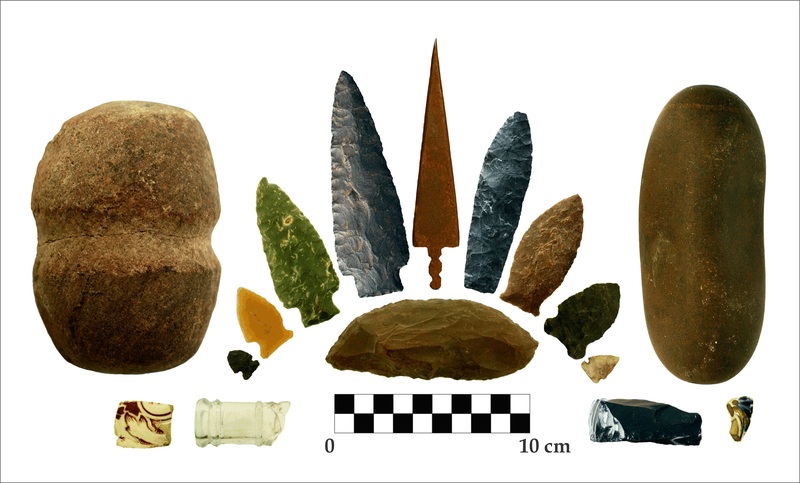 This can include arrowheads or other stone tools, bones, ceramics or tipi rings and other stone features. So, what can people do when they make these discoveries? They can Report A Find! Bone artifact from a “Stones and Bones” event in Coaldale. Photo credit: Royal Alberta Museum. The Archaeological Survey has set up a webpage where people can report their discoveries. You can get an expert opinion on your find and, who knows, possibly be credited with recording a new archaeological site! Recording this information is a big step in helping to preserve and protect Alberta’s historical resources. But, please remember that if you observe an artifact in your travels, the best practice is to leave it where you found it. Archaeological sites are protected under Alberta’s Historic Resources Act, regardless of where they were found. Removing an artifact from its original context disrupts the integrity of the site and may hinder efforts to further understand the significance of the object. You just need to provide us with a photo of your find and the location it was found, either by providing geographic coordinates or plotting the location on a map. Your find will be reported to staff at the Archaeological Survey and they will follow up with you and possibly ask for additional information. Staff will confirm if the site is already known or if the find warrants a new site designation! 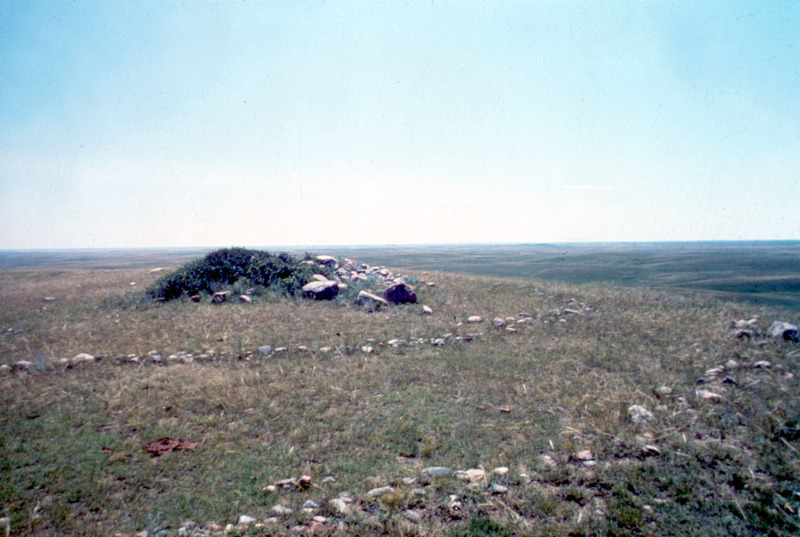 Medicine Wheel with outer rings and a central cairn. Photo credit: Royal Alberta Museum. Reporting finds can provide valuable information that helps the staff at the Archaeological Survey manage, protect and preserve archaeological resources in Alberta. We can’t wait to hear about your discoveries! Written by: Courtney Lakevold, Archaeological Information Coordinator. Where is Rock Creek’s missing rock? Introducing a guest blog post from Monica Field, one of our colleagues at Historic Sites and Museums. My story begins in the spring of 2013, when I received a phone call from Hugh Dempsey. He, writing an article for Alberta History, hoped to learn the whereabouts of a rock, a particular rock … a missing rock. Why did he call me? If you could see my house, my yard, my desk, my office and the view outside my window, you might understand. I work at the Frank Slide Interpretive Centre, and live in a landscape surrounded by rocks of all shapes and sizes. Some follow me. Many, found hither and yon, have fallen into my pockets and been liberated within my office. Others have invaded my home. There, a glacial erratic—it’s a 4,000 kg boulder—anchors my living room to the rocky edge of Rock Creek, a tributary of the Crowsnest River. I laughed when Hugh told me the story behind the article he was writing. Why? The tale was too unbelievable to be true. But amid its far-fetched elements, there were many profoundly compelling components and juicy aspects of alluring intrigue. I was mesmerized. Within seconds, I was hooked. In 1863, Count Henri Verasis di Castiglione was sent by the King of Italy to explore North America and bring back exotic specimens for a zoo. The Royal Italian Expedition, after traversing the Porcupine Hills, camped at the mouth of Rock Creek near the stream’s confluence with the Crowsnest River. There, not far from Lundbreck Falls, Castiglione and Major Ezeo di Vecchi climbed a nearby ridge and carved their names, the date, and some other information on a slab of sandstone (two feet wide by two and a half feet long). This was the sandstone slab sought by Dempsey. Dempsey, following the captivating story of Castiglione, had been trailing the Italian count for more than 40 years. He knew that in 1941, three Smith brothers from Lundbreck had found the inscribed sandstone slab. (Back in 1956 a local writer—and a former neighbor of mine—had heard the story and got the Smith “boys” to take her to the rock. She could read the names and date, but was puzzled over the inscription, which had weathered. No one from the local scene seemed to know more). Armed with Dempsey’s insights and a picture of the missing rock, I contacted numerous people in an attempt to see if anyone knew of the Smith boys. I also tried to determine if the local writer—who is no longer living—had left insightful notes. I spent hours looking at rocks while exploring the ridges near the mouth of Rock Creek, but struck out on all counts. Castiglione’s inscribed rock seemed to have vanished. Then I hit pay dirt. It happened when I stopped to talk with an elderly landowner, a man living in close proximity to the missing rock’s described resting place. He told me he’d found the rock years ago and, believing it to be a tombstone, taken it home. Later, regretting his actions, he returned the rock to the place where he’d found it … on a south-facing hillside amid scattered limber pines. 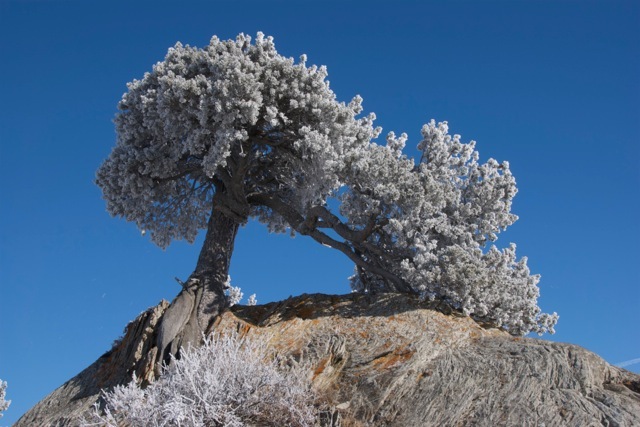 A limber pine, covered in hoar frost, grows incongruously from thrust-faulted sandstone near the mouth of Rock Creek, in close proximity to the last known resting place of Count Castiglione’s missing rock (Photo by David McIntyre). Years passed until one day, in the early 1980s, employees from the Nikka Yuko Japanese Garden in Lethbridge were granted permission from the landowner to excavate limber pines from the same sandstone ridge. When the landowner, returning to examine the site of the tree excavations, looked for the inscribed “tombstone,” he discovered it was gone. (This observation was made roughly three decades ago). Fast-forward to 2013. I, curious, contacted the Japanese Gardens to see if I could learn more. I received a response indicating that the missing rock couldn’t possibly be in the Japanese Gardens because their rocks had been collected from an area farther west. I wrote back indicating that, while I knew the bulk of the Japanese Gardens rocks had come from other locations, it seemed likely this particular rock, unusual due to its inscription, could have been collected at the time the Rock Creek limber pines were excavated. I haven’t found time to visit the Japanese Gardens to see if I might learn more, but I’m mindful that a good sleuth leaves no stone unturned. The Japanese Gardens are beautiful and well worth a visit. Perhaps, too, the gardens are the key to an elusive sandstone mystery? Written by: Monica Field, Manager of the Frank Slide Interpretive Centre.